Breanna Owens had no idea where to turn for help when the wolves arrived. 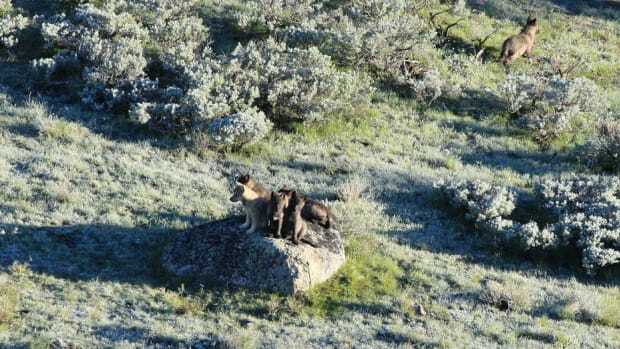 The northern California-based rancher used to take her cattle to graze each summer in Oregon, but in 2014, OR-7, a solitary wolf dubbed Journey, found a mate and produced a litter of pups in the vicinity of Owens&apos; herd. The Rogue Pack was the first in the area in generations. "All of a sudden it&apos;s: Oh, he set up camp. And there&apos;s a female. And there&apos;s pups—oh my gosh!" she recalls now. Four years later, Owens again finds herself in wolf country. Another pack has settled in the northern California mountains where she and other ranchers graze sheep and cattle. It&apos;s news that has environmentalists celebrating—wolves were extirpated from the state in the 1920s—and ranchers wringing their hands amid a handful of livestock killings. But Owens is taking a remarkably contrarian tack: Rather than calling for the removal of wolves, she&apos;s working to ensure safe co-existence with the canines. 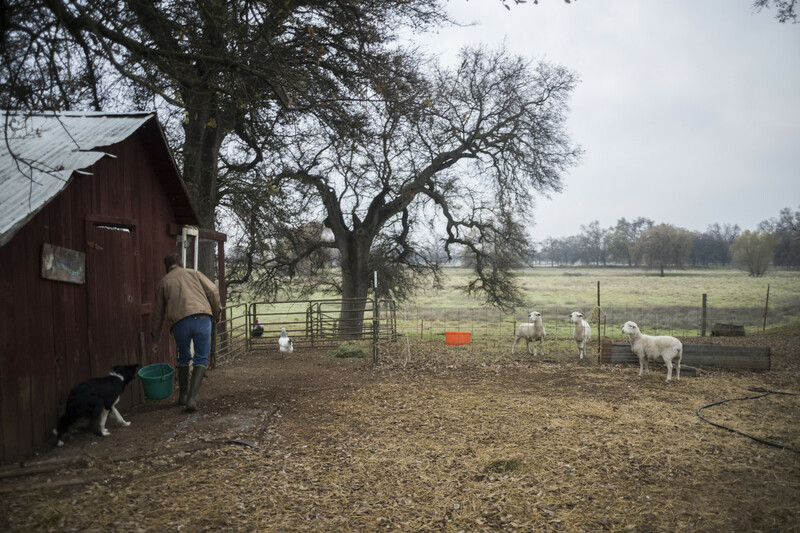 Owens cares for the livestock on her ranch in Los Molinos, California. Gray wolves were long seen as livestock-killing vermin and were driven nearly to extinction by the early 1900s. 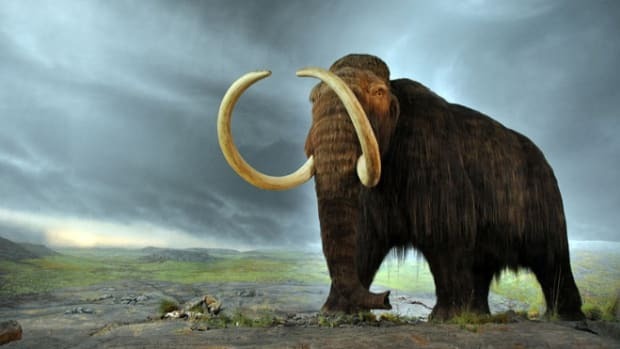 They were listed as endangered in 1978, and in 1995 a reintroduction effort began in Yellowstone. Packs have since established themselves throughout the northern Rocky Mountains and in Washington and Oregon. When the Rogue Pack arrived, Owens had plenty of questions: Did she need to be concerned? What actions could she take? When would the wolves start exhibiting hunting behavior? Owens turned to an unlikely ally: Karin Vardaman, then a director with the California Wolf Center, a not-for-profit dedicated to rebuilding the state&apos;s long-lost wolf population. 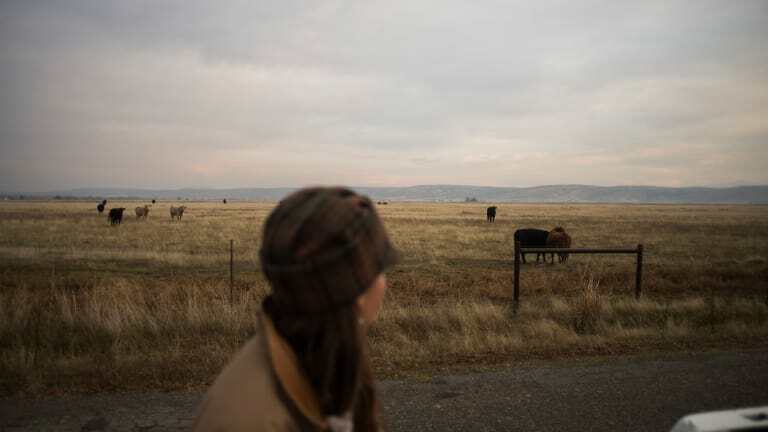 Vardaman knew conflicts over wolves were imminent, and that a working relationship with ranchers would both minimize cattle predation and the chance of wolves being killed in retaliation. Accordingly, she began meeting with livestock producers across the state&apos;s northern reaches. Owens tends to her horses on her ranch. "People in urban areas get excited," says Vardaman, now with the advocacy group Defenders of Wildlife. "But they&apos;re not impacted when wolves return." Vardaman formed the Working Circle Proactive Stewardship, and Owens eventually signed on as its director. 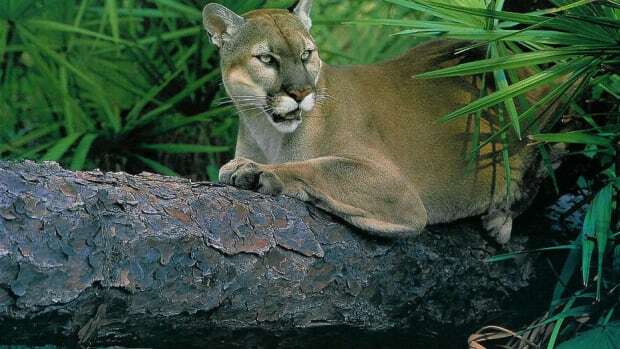 It suggests a suite of non-lethal wolf deterrents, including fladry (small red flags) and flashing lights, which can startle predators, and guard dogs. It teaches tactics like bunching cattle together and rotating them around grazing areas, which not only keeps wolves at bay, it also better allows grass to regenerate. And it trains and funds range stewards, who spend time in the field with cattle, observing how best to manage the herd and protect it from predators. The question could not be more pressing: The new California pack, the Lassen Pack, now consists of at least two adults, two yearlings, and five pups, and has killed at least four calves since July. 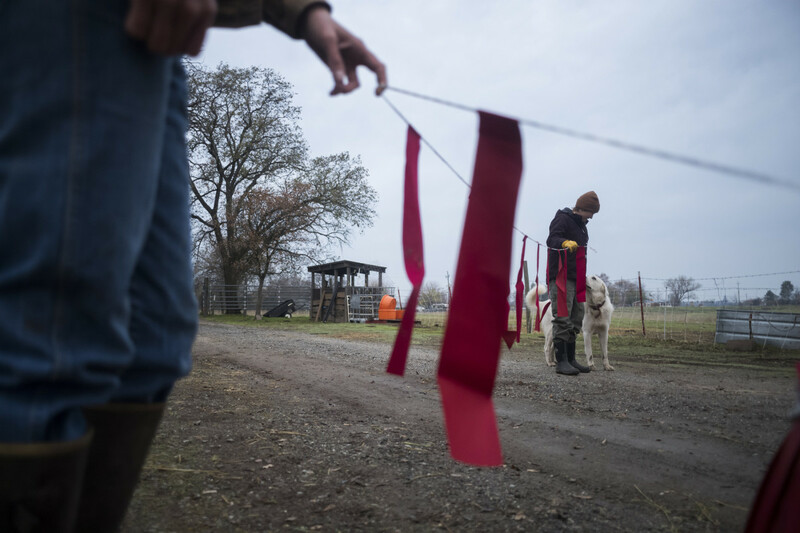 Red flags, also known as fladry, act as a deterrent to predators on the ranch. Todd Swickard suffered one such depredation. In September, a ranch hand of his found a partially consumed calf, which state biologists confirmed was killed by a wolf. Swickard was in the process of shipping his cattle out of their summer grazing terrain, so there wasn&apos;t much risk of further losses. But the specter of the wolves&apos; ongoing presence bothers him. 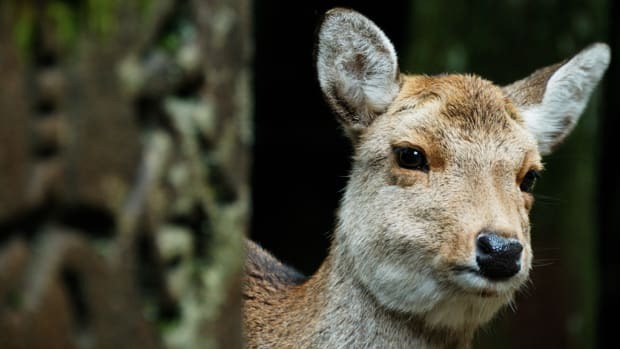 "They&apos;re mostly nocturnal hunters, so it&apos;s tough sleeping at night," Swickard says. "You wonder if they&apos;re in the middle of your livestock, and we&apos;re charged with the husbandry and care of those animals." Area livestock producers feel their hands are tied if wolf numbers continue growing. Federal and state laws prohibit lethal recourse against wolves. Plus California lacks the robust deer and elk populations such as those in Oregon and Idaho, so ranchers think their herds will be the top option on the wolves&apos; menu. "The wolves have to eat," rancher Daren Hagata says. "If they don&apos;t have the wildlife populations ... they&apos;re going to come after your livestock." "Once [wolves] get in and start harassing the cows, especially on a regular basis, weight gains go away, conception rates go down," says rancher Jack Hanson. "That&apos;d be my biggest worry, even more than the mortality issue." With lethal action off the table—at least legally—ranchers are slowly coming to the realization they must try other methods. Owens spends a good deal of time meeting with ranchers in the area to educate them about Working Circle services. Metal posts are used to hold electrified wire. Despite work that might be seen as advocacy for wolves, Owens is ambivalent about their presence. Her efforts are grounded as much as anything in the realization that wolves are not going anywhere. "You like wolves, just like any other wildlife," she says. "But when you see confirmation of pups, you get that sinking feeling. How&apos;s this going to go? How many cows are we going to lose? How many wolves are we going to lose?" For examples of the methods Owens preaches, ranchers in the Lassen Pack&apos;s orbit could look north. 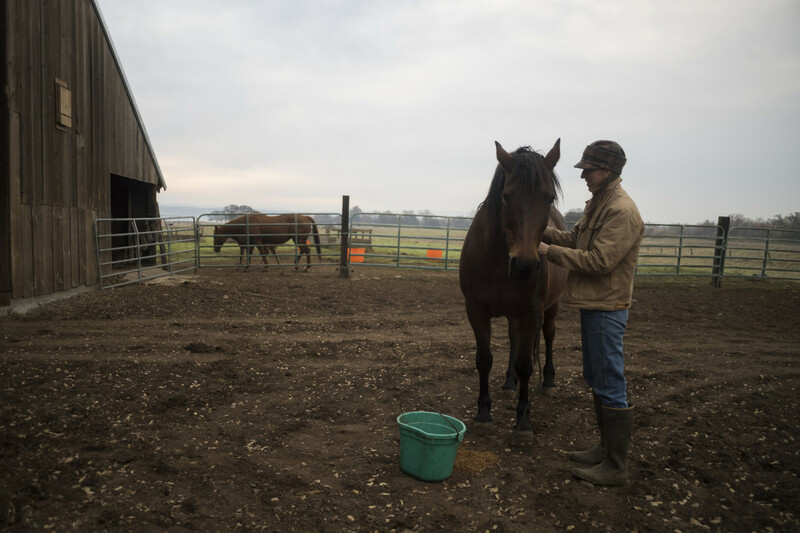 Since 2016, Scott Sumner has served as a Working Circle-funded range steward for the Hart Ranch, which his sister, Susan Hart, owns. Sumner patrols the Hart&apos;s summer grazing meadows by foot and mountain bike, accompanied by his nine-month-old collie, Rachel. 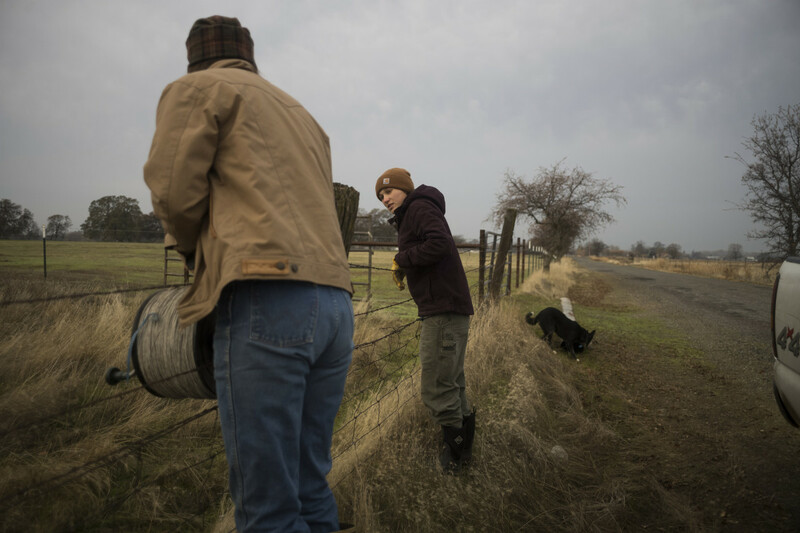 Sumner&apos;s job was an urgent addition—in 2015, the Shasta Pack became the state&apos;s first wolf pack in nearly a century, and the Hart Ranch was squarely in its range. "My job is to know this landscape better than the cows and wolves," Sumner says. "If I notice a change in the cows&apos; behavior, my radar goes up." He keeps the cattle bunched tightly, rotates them between meadows, and is constantly seeking to minimize threats by, for example, thinning trees near salt licks to reduce odds of a wolf ambush. He checks a network of 14 trail cameras in the area, one of which snapped a photo this summer of OR-44, one of two lone wolves ranging through California. 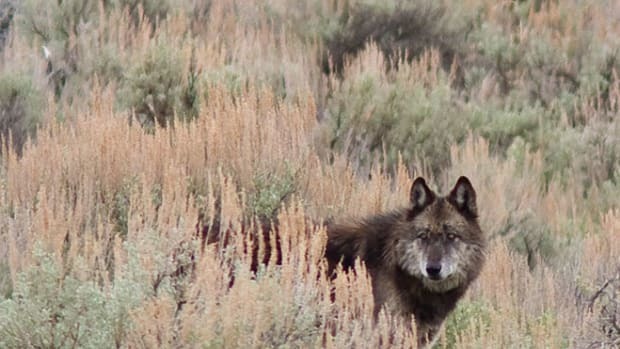 Since Sumner began range riding, the Harts have suffered no wolf depredations, and the pack appears to have disappeared, though the state hasn&apos;t confirmed whether the wolves dispersed on their own or were poached. No other pack has established itself. "Who knows?" Sumner says. "Maybe there are no wolves here because I&apos;m around." 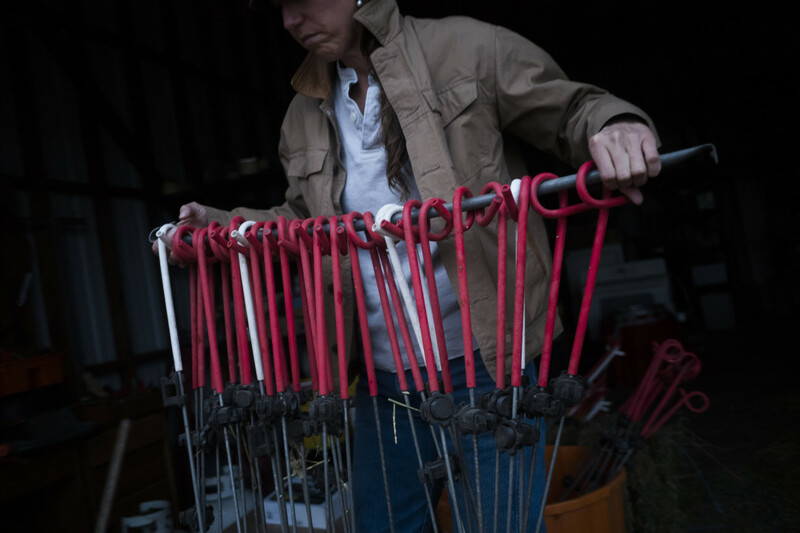 Owens and ranch apprentice Brykelle Lang set out electrified wire to protect livestock from mountain lions and coyotes. Sumner understands the cattle he watches over would be at risk if wolves return, but that doesn&apos;t mean he&apos;d be disappointed to see another pack. Shortly before the state confirmed the Shasta Pack&apos;s existence, a wolf trotted ahead of Sumner&apos;s pick-up, not 65 feet away, as he was driving near the ranch&apos;s grazing meadows. "When I first saw it, it was pretty much just surprise—that&apos;s a damn wolf! I was excited for 24 hours," he says. I ask Sumner how seeing the wolf made him feel, and it takes him some time to elaborate. Earlier in the day, he had lamented how some wolf advocates glorify the species. But when describing his emotions when he saw the wolf three years ago, reverence creeps into his tone. 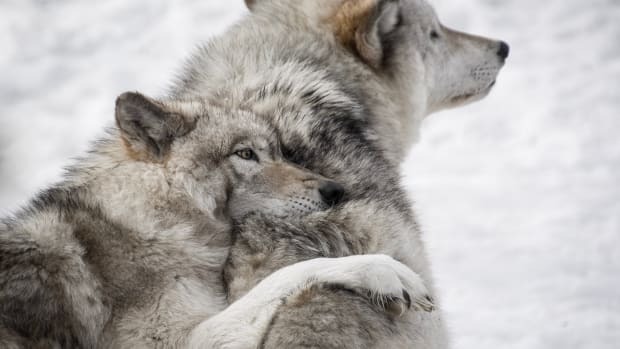 "I don&apos;t want to sound like a wolf-hugger," he says, chuckling. "But they do symbolize a part of this country that I don&apos;t want to see ever lost. I understand why they&apos;re revered, and why they&apos;re hated. I want to do what I can do, in what little time that I have, to help them be here." Jake is a freelance journalist based in Tacoma, Washington, who writes about the U.S. West.